Turmeric is an extremely beneficial natural ingredient, which is believed to be an alternative cure for numerous different illnesses. Namely, as its use has fewer side-effects, it is often advised as a natural variant of medications and drugs. However, in some rare cases, turmeric can cause severe negative effects on the health, if used excessively, or if combined with certain drugs. When referring to turmeric, people usually think of the ground-up root of this plant, which has been used as a culinary spice, as a medicine, and in ceremonies in India for more than four millennia. Numerous studies have proven the health benefits of turmeric, even though not all of them are scientifically backed- up. Most of its properties are due to its active ingredient, curcumin, which has been found to have powerful anti-carcinogenic, anti-inflammatory, anti-oxidant, and anti-thrombotic properties. Due to its beneficial action, numerous people use turmeric in combination with other medication, or as an alternative to their prescribed drugs. This is mostly due to their wish to avoid the negative effects and complications of the excessive use of pharmaceuticals. However, turmeric can be dangerous if taken in combination with some specific drugs, and may cause harmful and severe side-effects. Sometimes, its most advantageous properties may become dangerous if combined with drugs. Thus, its anti-thrombotic property which reduces blood clots may endanger the health if combined with blood-thinning medicines, like aspirin, warfarin (Coumadin, or clopidogrel (Plavix). Namely, their combination actually boosts the effect of the blood-thinning drugs and thus raises the risk of bleeding. Turmeric also interacts with diabetes medications, which reduce the blood sugar. Namely, it boosts their effect, and thus elevates the risk of low blood sugar. As a result, you may experience numerous side –effects, like blurred vision, delirium, impaired cognitive function, anxiety, and shakiness. The consumption of turmeric may also lead to allergic reactions, such as outbreaks like rashes or hives, and may even cause shortness of breath and anaphylaxis. Furthermore, turmeric should not be combined with drugs that reduce stomach acid, as the body will actually increase its production of stomach acid, and thus, lead to nausea, stomach pain, bloating, and esophagus damage. 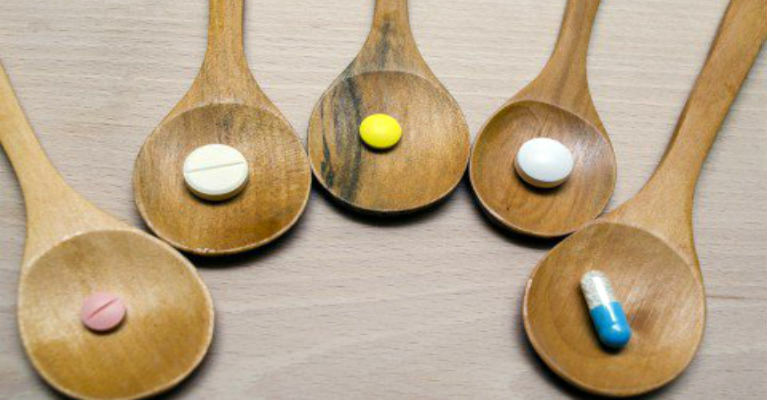 These drugs which lower the stomach acid include Omeprazole, Famotidine (Pepcid), Cimetidine (Tagamet), and Ranitidine (Zantac). Therefore, if you take turmeric at the same time as some drug or medicine, or in case you experience some allergic reaction, you should replace it with some other natural alternative, or reduce the amount of turmeric you consume. Without doubt, raw vegetables grown at your home can bring a number of benefits more than the bought ones from the grocery. Even though it requires some time, the benefits you will feel are numerous. You will save your money and you can grow them indoors, you do not need to have a farm. Use fresh scraps, and when re-growing the plants, ensure they have enough light and water. Place the Bok Choy’s root ends in water in a well- lit area. After 1-2 weeks, transplant them to a pot that has soil, and a new head will grow. Carrot greens can be re-grown from carrot tops, you only need to put them in a dish with little water, and place the dish in a room that is well-lit or on a window sill. Although carrot greens are a bit bitter, if you chop them up together with garlic and sweeten with vinegar, they can add great flavor to your salads. In order to re-grow your new basil plant, you should use basil cuttings. Put ones that have stems of 3-4 inches in a glass of water, and place them in direct sunlight. When the roots get to 2 inches long, transfer them to pots. With time, they will grow into full basil plants. Change the water constantly in order to avoid getting slimy basil plants. If you place the stems of cilantro in a glass of water, they will grow. When the roots become long enough, transplant them to a pot with soil. Place them in a room with ample lighting and in a few months, your new plants will be fully grown. Use the leftover celery bottom to re-grow your new celery plant. Cut the base off and place it in a shallow bowl or saucer in the sun. The leaves will thicken and grow with time in the middle of the base. After three days, transfer it to soil. Garlic sprouts can be grown from the garlic clove. New garlic sprouts will have a milder flavor, and can be used as an addition to your salads, pasta, salads and other dishes. When they begin to sprout, you should place them in a glass with little water.read here. Re-grow scallions using their discarded roots. Leave an inch of the scallion attached to the root, put them in a glass of water and place it in a room that’s well-lit. Say Goodbye to Wrinkles and Sagging Facial Skin with Coconut Oil and Baking Soda! Today, we will reveal the recipe of an amazing natural mixture that will deeply clean your pores and help you get rid of blackheads and acne. This combination will also exfoliate your skin, remove excess dirt, and eliminate redness, acne, and scars. Incredible! It contains two incredible efficient ingredients, baking soda and coconut oil. Sodium bicarbonate is a powerful and versatile ingredient that can be used in numerous various ways. It is used in the preparation of homemade baked goods, for household uses like deodorizing and polishing agent, as well as for cleaning, instead of harmful and toxic household cleaners. Despite this, baking soda is used as a cosmetic product for hair, teeth, and skin. It is amazing in the treatment of acne, as it is an amphoteric compound and thus balances the pH balance of the skin and prevents their occurrence since pH imbalance is the leading cause of acne. On the other hand, coconut oil has powerful medicinal, moisturizing and antibacterial properties which effectively nourish, condition the skin and reduce the skin’s blemishes. In a small bowl, mix the ingredients in order to prepare a paste. Apply the paste on your skin and gently massage in circular motion. Then, leave it to act for 5 minutes. here. Ginger has been used for centuries, due to its remarkable health benefits and numerous nutrients. Ginger is undoubtedly one of the most versatile roots you can consume. Namely, it is a strong antioxidant which eliminates toxins and neutralizes the effects of the free radicals and thus lowers the risk of cancer. Moreover, due to its potent anti-inflammatory properties, it successfully soothes the symptoms of arthritis. Ginger boosts the immune system, reduces nausea, enhances digestion, relieves migraines, constipation, gases, cough, cramps, prevents blood clots, lowers the bad (LDL) cholesterol, promotes heart health, stimulates circulation, soothes menstrual cramps, and lowers the blood sugar levels. One of its essential uses is its improvement of digestion. Moreover, it also helps the burning of fat, and thus promotes a healthy weight loss. Moreover, it provides a feeling of fullness and prevents the food cravings, so it is perfect for your weight loss regimen. 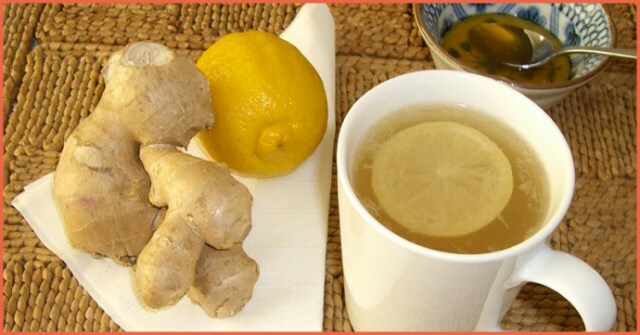 Therefore, the ginger juice that we are writing about today is incredible if you have decided to lose some excess pounds, but also strengthen the health. Initially, boil 50 oz / 1.5l water, and add the chopped ginger root, long about 2 inches / 5 cm. Afterwards, only strain the liquid and your miraculous juice is ready! Consume 1 cup (8 oz) of this juice per day. If you like to enrich the taste and the properties of the juice, you can also add some lemon to it. You should consume this juice no less than half a year. Its results will simply astonish you! Your waistline will be significantly reduced, you will quickly lose excess weight, but your health will be better than ever as you will no longer be prone to bacteria or viruses. As incredibly as it may sound, an article published some time ago spoke of the production of fake rice in China, made out of plastic! What is even more shocking about it all is the fact that no one does a thing to prevent it! The ingestion of even small amounts of plastic seriously harms the digestive system, as well as hormones. The BPA (chemical) in plastic mimic’s estrogen and the levels of the hormone tremendously increase in the body when BPA is ingested. This is only one finding that should assure you to be reserved about the food produced in China, however. Regarding the Chinese innovative procedures that they use to make cheap technology products, toys and other consumer products, we believe it is dangerous enough even to think about their application to food. China is undoubtedly one of the most polluted regions in the entire world and produces more pesticides than any other country in the world, meaning your food is most likely to be laced with pesticides. First of all, it is a fact that the air in China is toxic. Research found that the air in Beijing, China, is so polluted that breathing it actually does as much damage to the lungs as smoking 40 cigarettes a day. 70% of its rivers are polluted as well, and the sheer volume production of products there leaves a lot of toxic chemicals and by-products as waste. These leak into the environment and pollute it to a seriously high extent. These are only part of the numerous indications that foods produced in China are perhaps one of the worst choices you can make, for they may seriously harm your health. Indeed, plastic rice is being produced and it is believed that its effects could be cancerous. It is said to be actually made from potatoes and a fake synthetic resin, but it doesn’t cook like the regular rice, as it stays hard after boiling. Tilapia is commonly fish-farmed in China, for 80% of the Tilapia in America comes from China. It is one of the worst, most toxic and unhealthy fish that you can come across. Farming leaves fish in extremely bad conditions, for they are placed in a small pool of waste water, and they actually eat anything there during their development process. Being aware of this, the sea-food farmers won’t let their own children eat the seafood that they farm. 34% of processed mushrooms are from China, and US inspectors have found tainted mushrooms from China. Furthermore, there are even some manufacturers in China that go so far as to label these processed mushrooms organic to increase their profits. The reality is that China produces more pesticides than any other country in the world and is polluted by not only that, but its mass production and industry as well. Also, regarding the fact that China is a country where avian influenza and food-borne illness are common, numerous food safety experts are concerned with the quality of this chicken. Yet, the sale of chicken from China in America has been approved by the US Department of Agriculture in 2013. Once more, avoid food from China. The production of fake green peas in China was discovered in 2005, but it may still last today. These fake peas were created with snow peas, soy beans, along with green dye and sodium metabisulfite (a chemical that is used as bleach and as a preservative). The use of this dye is banned as it can cause cancer, as well as inhibit the body’s natural ability to absorb calcium. Just like fake rice, these green peas also didn’t soften when boiled and the water turned an unnatural green color. Statistics say that currently just over 50% of American Cod comes from China. Cod is absolutely unhealthy as it lives in its own waste. China is the largest pesticide producing country in the world and they haven’t even begun to address pesticide or chemical residue on foods. The Chinese don’t have a lot of due diligence in their food and safety regulatory systems, and consequently, the origin and contents of food can often be left vague. Believe it or not, a vendor in China collected mud and sold it as black pepper, and also took flour and sold it as white pepper. Therefore, in order to protect yourself and your family and avoid any unwanted side-effects, always do your best to know your source, buy local and true organic. Industrial salt should also be avoided, for it has been found to be unfit for human consumption by scientific research. It can lead to mental and physical issues, hypothyroid problems, as well as reproductive system disorders. Apart from tainted mushrooms, US inspectors have also found tainted garlic from China. This garlic is sprayed in enormous amounts and it leaves a bad aftertaste, that of a chemical concoction. To speak in numbers, 31% of Garlic sold in the US is from China. Regarding the extremely high amounts of pesticide produced in China, it is best to avoid apple juice completely, as approximately 50% of the apple juice sold in the United States comes from there! Yet, it is hard to tell if a food item originates from China or not. Hence, it is best, if possible, to grow your own organic food or to find a reliable local farmer or a store, where you can buy naturally grown foods. Almost all women after the fourth decade of their life become irritated by the wrinkles that almost daily appear around the eyes. Well, today we will offer you a remarkable Argan oil serum that will do wonders for your skin! Namely, this beneficial oil is the best oil for skin care. It gives excellent results in the case of any skin issues, including acne, eczema, chicken pox and psoriasis. The consumption of argan oil can boost your immune system, improve the blood flow and reduce the bad cholesterol in your blood. This remarkable oil aids digestive processes and reduces stomach inflammations. Furthermore, it’s excellent in the fight against arthritis and rheumatic diseases. Due to its special combination of sterols, argan oil provides various and miraculous health benefits. These beneficial components make it perfect against inflammation and are responsible for its anti-cancer properties. Also, argan oil can also be used as a tonic, and is an excellent aphrodisiac. Therefore, using this oil in the serum which will help you remove wrinkles and rejuvenate your skin is almost inevitable! This powerful serum contains argan oil and vitamin E.
In the case argan oil is too expensive, or you cannot find it, replace it with olive oil. Prepare a homogeneous mixture by mixing the argan oil and the vitamin E capsule. Then, dip the cotton swabs in this serum and place them over your eye area. Leave them thus for ten minutes, during which, you can relax and lie down. Afterwards, remove the cotton swabs and gently massage the skin around your eyes using your fingers. The regular use of the serum will provide immediate results. It would be best if you apply it (in small amounts) every night. Its use will make your skin rejuvenated, more elastic, hydrated, silky and glowing. What’s more, it will be completely wrinkle- free! see here. Although it may seem too promising to be completely true, this amazing natural remedy will help you relieve all pains due to osteoporosis, and after its use, you won’t feel the pain for several years. Osteoporosis is the descriptive term given to a group of disorders that affect the progress of bone growth by bone necrosis, Any disease that affects the progress of bone growth by killing bone tissue. Osteoporosis is seen only in children and teens. Namely, you will need to prepare a massage mixture with unrefined vegetable oil and salt. Note that this beneficial mixture should be prepared immediately for the entire course of medication. You will need 10 tablespoons of salt and 20 tablespoons of oil (olive, sunflower). Mix the oil and the salt in a glass bottle, close it and leave it for a few days. Afterwards, you will get a light mixture. You should so this massage every morning. Rub the mixture with a vigorous massage, on the cervical vertebrae in sore places. Massage 2-3 minutes at the beginning. After the end of the massage, wipe the neck with a wet and warm towel. Every day, increase the massage duration for another 2-3 minutes, in the event to have 20 minutes for the whole massaging time. At times, this kind of procedures may cause minor skin irritation. Hence, after the end of the massage, wipe the skin with a dry cloth and sprinkle with baby powder. You should repeat this massage for 10 days. After 8-10 procedures you will notice radical changes. This 10-day treatment course stimulates blood circulation and improves muscle regeneration of cartilage and bone tissue. Sometimes during the whole process, you may feel a little drowsiness or dizziness, but it will not happen often. However, as a rule, this treatment of osteochondrosis has no side effects, and provides excellent results. Furthermore, this massage treatment improves the vision, reestablishes the blood flow in the cervical spine and alleviates headaches, due to the fact that the body is released from toxins, which in turn helps to normalize metabolism. Plant That Kills Cancer Cells, Stop Diabetes and Boosts Your Immune System! Goya, or otherwise known as Karela, is a “bitter-melon” fruit that has been used for health benefits in countries all over the world for a long period of time. It grows well in humid and hot climates and can be mostly found in South America and Asia. It is a common traditional medicine in China, India, Asia and some southeastern parts of US. This healthy melon has an extremely bitter taste, and its shape resembles a bumpy cucumber. However, the natural components in it were found to be able to treat patients diagnosed with pancreatic cancer. To be more specific, the founder of the effects of this amazing fruit was Dr. Frank Shallenberger M.D. who specializes in Anti Aging treatments and Alternative Medicine at the Nevada Center of Alternative & Anti- Aging Medicine. Dr. Shallenberger always advises his patients to trust nature and use natural products and substances in treating any kind of sickness. He states that this miraculous fruit inhibits cancer cell growth effectively. Namely, according to his latest findings, a 5% solution of bitter melon juice can fight pancreatic cancer. This fruit destroys cancer cell lines by 90 and 98% percent. Its effect was further examined at the University of Colorado, and the results showed a reduction of 64% in the size of pancreatic tumors. Therefore, this research only confirmed the benefits and powerful action of the bitter melon. Furthermore, it also plays a great part in the treatment of skin infection, diabetes symptoms, asthma, stomach problems and hypertension. It cleanses and detoxifies the liver, relieves gout pain and stimulates blood circulation. Goya juice increases the stability of yourimmune system and resistance of your body against infections. It stimulates food peristalsis and eases the digestionuntil the food is finally excreted through the bowel and out of the system. The bitter melon is rich in polypeptide-P, a phytonutrient which lowers blood sugar. Bitter melon also contains a special charantin, known to increase glycogen synthesis and glucose uptake in the liver, muscles, and adipose tissues. Both of them lower blood sugar, which is essential for patients with type-2 diabetes. It relieves the hangover, as it accelerates the metabolism, and at the same time, it nourishes and cleanses the liver after the consumption of alcohol. The regular consumption of its juice helps relieve psoriasisand fungal infections, such as Athlete’s feet and ringworms. It is a source of folatewhich reduces the occurrence of neural tube defect in newborns. When consumed regularly, it boosts your stamina and energy level. A colleague recently came to me asking what’s better: coffee or tea? She told me that she (a coffee drinker) and her boyfriend (more of a tea guy) were debating which beverage is healthier, each believing their own personal preference was the more virtuous option. It’s a good question because it seems like every day there’s news about the health benefits of one or the other, but you never see the two compared. The truth: there isn’t a clear standout. Both of these uniquely healthy pick-me-ups have their own long list of health pros—and cons. Below, I go over the reasons to sip one or the other, along with tips for getting the most out of each one. 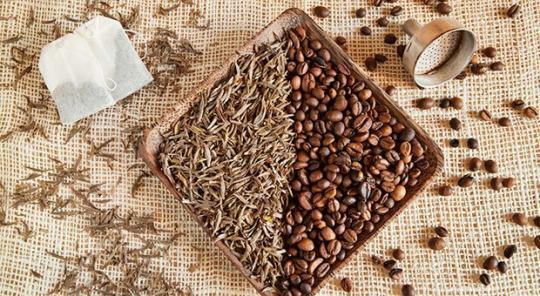 The pros: Tea boasts a long list of health benefits. The rich antioxidants in tea fight inflammation, and have been shown to help prevent blood vessels from hardening. Tea drinkers have a significantly lower risk of stroke and heart disease, and tea is known to boost brain health. One study, for example, found that compared with older adults who drank less than three cups a week, those who drank more than two cups of green tea a day had a significantly lower risk of age-related declines in memory. Regular tea drinkers also have higher bone density levels and slower rates of bone loss. Overall it’s associated with anti-aging: research shows that the cells of regular tea drinkers have a younger biological age than non-drinkers. Pretty potent stuff! The cons: The first one is purely cosmetic—stained teeth. Another is the potential impact on your iron levels due to tanins, a type of antioxidant that interferes with the absorption of non-heme, or plant-based iron from foods like greens and beans. In one classic 1982 study drinking tea with a meal resulted in a 62% reduction in iron absorption compared to 35% for coffee. Finally, if you’re sensitive to it, the caffeine in tea may also be a con, although the levels are lower than coffee. One cup or eight ounces of black tea contains 14-70 mg of caffeine, and green tea 24-45 mg, compared to 95-200 mg in the same sized portion of coffee. The most important tip for tea is to limit or avoid adding sweetener. Enjoy it hot or iced, and if you need a little sweetness add a splash of 100% fruit juice. You can also add flavor with a bit of natural seasoning, like fresh grated ginger, or fresh mint. Each of these also boosts the antioxidant potency in your mug. As for the iron issue, if you’re an omnivore this is less of a concern since tannins do not impact the uptake of animal-based heme iron found in meat, fish, and poultry. But if you are vegetarian or vegan the best way to offset the impact is to consume your iron-rich plant foods with a source of vitamin C. In the same study, OJ upped iron absorption by 85%. Other top vitamin C sources include bell peppers, broccoli, cauliflower, Brussels sprouts, kiwi, and strawberries. Pros: The good news about coffee just keeps on coming. A brand new Harvard study found that those who drink about three to five cups of coffee a day may be less likely to die prematurely from some diseases than those who drink less or no coffee. A rich source of antioxidants, regular coffee consumption has also been linked to protection against type 2 diabetes, Parkinson’s, and certain cancers. Cons: Natural substances in unfiltered coffee (meaning boiled or espresso) have been shown to raise cholesterol levels slightly. Also coffee is more acidic than tea, so if you have stomach or digestive issues you may tolerate tea better. Coffee has long had a reputation for bone issues, but it remains unclear how significant the effects are. One study found that a high intake of coffee—four or more cups a day—reduced bone density by 2-4%, but the effect didn’t translate to an increased risk of fracture. However, if you already have low bone density coffee consumption is something you should discuss with your physician. The remaining cons of coffee are primarily tied to its caffeine content, which again is higher than in tea. Caffeine is a stimulant, so if you’re sensitive to it coffee may leave you feeling overly stimulated, jittery, and anxious. If you have high blood pressure, you should limit your caffeine intake because caffeine can cause a short, but dramatic spike in blood pressure. Also two or more cups of coffee a day can up the risk of heart disease in people with a fairly common genetic mutation, which slows the breakdown of caffeine in the body. Unfortunately the testing for this is limited, and not typically offered by doctor’s offices. One company, affiliated with the University of Toronto, offers a test through registered dietitians, but it will likely be an out of pocket expense. Finally, coffee is a known diuretic, meaning it flushes water from the body. Research shows that your body can adjust to a regular habit, but if you only have it once in a while, or you have more than usual, it could leave you dehydrated. Again, sugar and other coffee “adds” are a big issue. Fancy coffees doctored up with syrups, milk, and whipped cream can easily add up to more calories than a meal should provide: 540 for a Starbucks grande peppermint white chocolate mocha made with 2% milk and whipped cream. That’s 140 more than a salad from Chipotle made with romaine, black beans, fajita veggies, salsa, and guacamole. I’m not in favor of using artificial sweeteners due to their potential impact on appetite and blood sugar regulation, as well as gut health. I advise my coffee loving clients to add a little plant-based milk, a minimal amount or no added sugar, and a sprinkling of an antioxidant-rich spice like cinnamon. Stick with what you’re partial to, take the cons into account, and be sure you aren’t using the caffeine in either tea or coffee as a crutch, to mask fatigue from too little sleep. While you may get a benefit from using caffeine pre-exercise it’s best to cut off caffeine completely at least six hours before bed for optimal sleep. And if either beverage leaves you feeling zapped of energy, either from the caffeine or what you’re adding to it, wean down your intake and up the H2O, the ultimate health-boosting beverage.